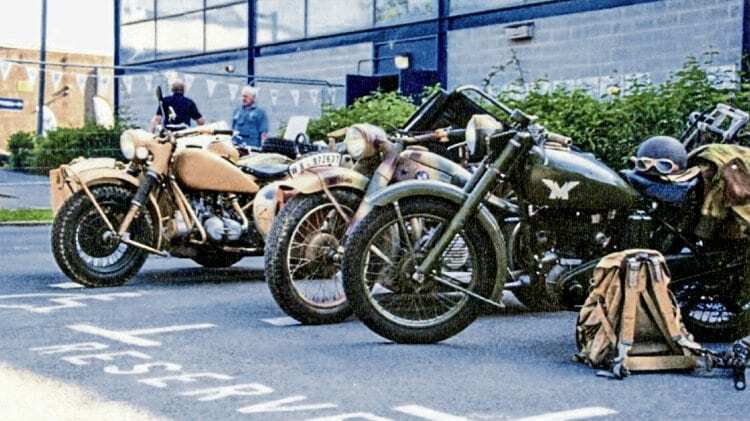 Reflecting the Waterlooville Motor Cycle Club’s formation in 1928, the theme of its biennial show at Horndean Technology College on Sunday, June 18, was motorcycling through the ages. Second World War motorcycles like these attracted plenty of attention at the show. Guest of honour Sammy Miller MBE opened the show at 10am, and in the reception area visitors got a taste of what was inside the main hall with a well laid out display of grasstrack, speedway and motocross machines and a Fogarty replica Ducati. On a swelteringly hot day, more than 100 motorcycles were on show, and the WMCC’s ‘walk through time’ display began with a lovely example of a 1928 350cc Sunbeam (although one club member exhibited his 1923 770cc BSA outfit) with excellent examples of interesting machines from every following decade, before reaching the most modern bike, a 2017 Triumph Bonneville.